I was talking to one of my colleagues the other day about adding more profit to their business. My colleague spoke about different strategies to boost margin that was cost intensive and risky. After listening to the plan which I mostly agreed with, It hit me that there is an inexpensive way to grow margin with little risk if done properly. I will outline a simple and inexpensive way to get more profit in any product. Please forgive my bias as my company is in the business of packaging and I’m about to layout a strategy that involves packaging which may be considered self-serving but allow me to continue. Packaging does not get the attention it deserves. Packaging can provide many benefits that can affect your bottom line. Packaging is so much more than just a wrapper for transport to a shelf. I want to demonstrate an example of how a product can be transformed into multiple products for different markets. This technique can be used for virtually any product. A tape measure is often considered a commodity product but using this technique; can be positioned to serve different buyers in different niches. The product for this example will be a standard tape measure which is non-distinct from its competitors. The first new product created with packaging changes is an eco-friendly model. This product is targeting consumers that want to express concern over the environment by their purchases. These buyers will likely choose environmentally friendly products and be willing to pay a premium in some cases. Eco-friendly packaging can create an offering for a market that may not have been available without such an option. The number of new offerings created is only limited by imagination and creativity. The second “new” product is targeted for the professional market. The professional market is brand loyal and pay close attention to all the details including the look and feel of the package. 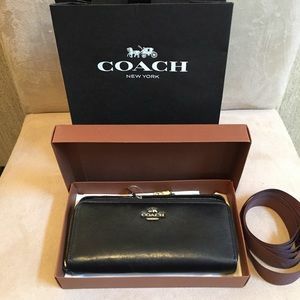 Coach is a premium manufacturer of luxury hand bags that pays attention to packaging detail. This high end retailer enjoys a 90% brand recognition and market leadership in its niche. This level of attention has to be done for premium products if you want to have pricing power and lead the market. Packaging can do more than just get products to retail shelves but increase sales and profits. The package is the last touch point before the sales process is complete. The package can build trust, credibility and validate the buying decision in different niches. The package must create the optimal buying experience for the market the item is being sold.